Buying or selling? We have one of the largest new and used boat selections on Lake Champlain. View our inventory online or contact us if you are interested in brokering your boat. We have the largest Parts Department on Lake Champlain along with highly qualified Parts Technicians to help you find what you need. Contact our Service Department today to schedule your appointment. Our staff of certified technicians will get you back on the water where your boat belongs. Day Brothers Boats and RV Sales in Plattsburgh, NY is located on Lake Champlain. Contact our boat and RV sales department for the best service on Lake Champlain. Located in Plattsburgh, NY serving Burlington VT, Montreal, the Adirondacks and all of Upstate NY. 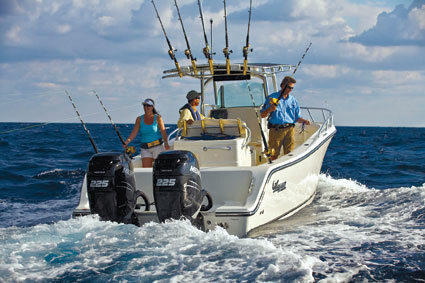 We carry Tracker Boats, Sun Tracker, Tahoe, Mako, Nitro, Crownline Boats. RV and Camper brands include Prime Time RV, Avenger and Crusader. We also carry ETEC Outboards, Yamaha Outboards, Mercury Marine, Load Rite Boat Trailers and Radisson Canoes.